Are you always wondering, ‘where DID I put my glasses?’ Do you keep several pairs dotted about the house, in the car, in your bag and so on? Well worry no more! The Answer: Speclaces of Course! Yes, it’s a bit of a silly word, but ‘Spectacles-Necklace’ seems even sillier and that is exactly what they are. Dreamt up by Panny who, like many of us, doesn’t always know where her glasses are just at that exact moment, nonetheless doesn’t always want a piece of cord around her neck. So she came up with the idea of a pretty necklace that would be something you’d actually want to wear and would incorporate a useful loop at the bottom capable of holding a pair of spectacles. Perhaps Panny wasn’t the first person in the world to come up with the idea but it’s a new one to us and I’d go so far as to venture that this little device does in some part sum up Panny’s life philosophy! Fair and Functional – Pretty And (perhaps most importantly) Practical. And look how happy Eleni from the Art Gallery is to be modelling one (above)! So, Panny approached local designer Jo Barr at Acqua Jewellery and asked her if she’d be interested in making some. 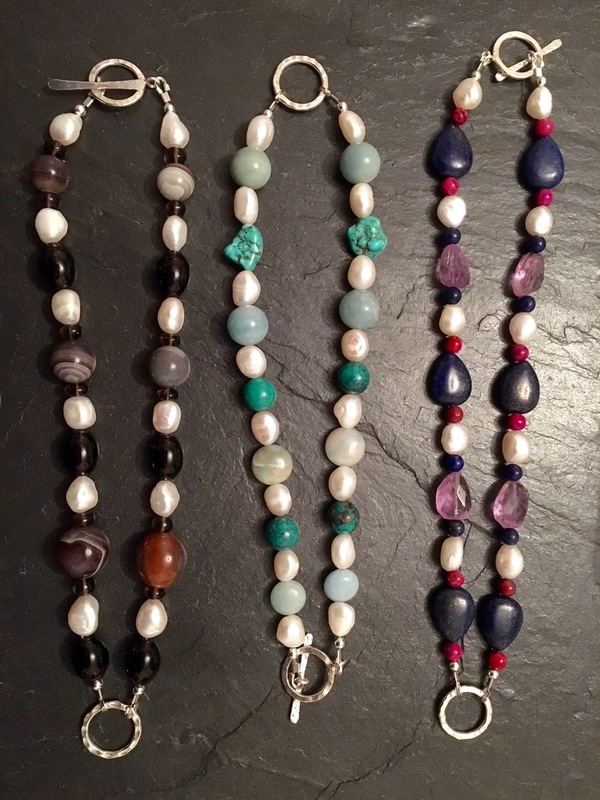 Jo used her wonderful eye and came up with some lovely – pretty and practical – designs using beautiful stones and pearls and Thai silver. 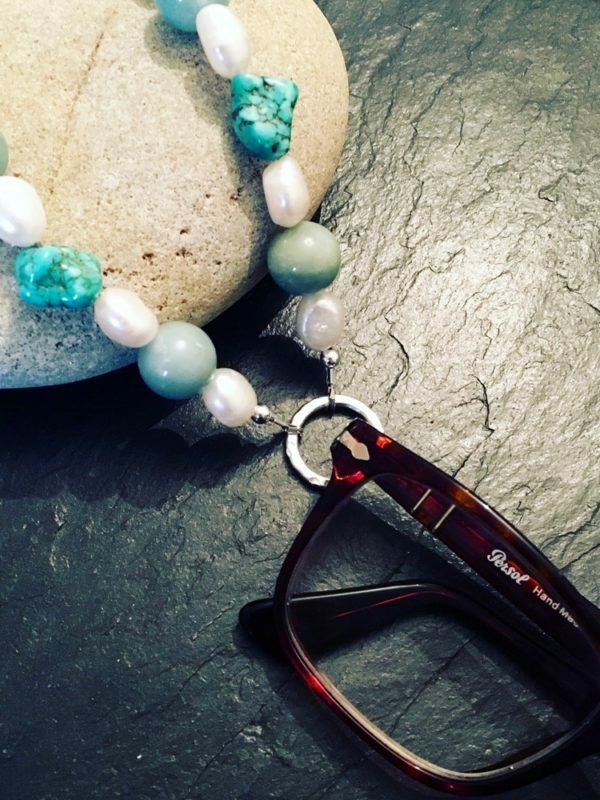 Jo calls them, ‘a necklace for you and your specs’. These fabulous designs above are now available to purchase at Logie Steading Art Gallery. Voila! Come and choose one before they disappear..